There are no comments for Snowflake. Click here to post the first comment. 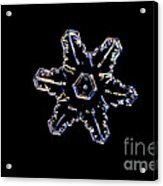 This snowflake is of a stellar crystal form, also called a dendritic snow crystal. 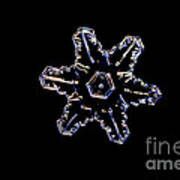 This form of crystal is made in a cloud when water freezes into ice around -15C. 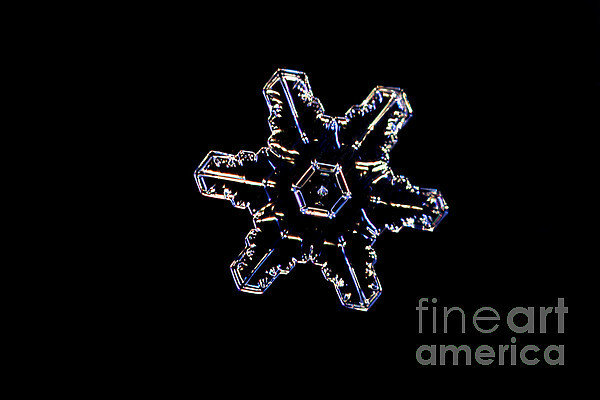 Snowflakes show typical hexagonal symmetry (as seen here) if the crystallization occurs slowly, in a calm air and in temperatures near freezing point; they are commonly flat and may have different shapes such as six sided polygons or stars.